Welcome, and thanks for reading. We’re seeing more of you tuning in to these weekly issues, which means we must (mostly) be getting them right. 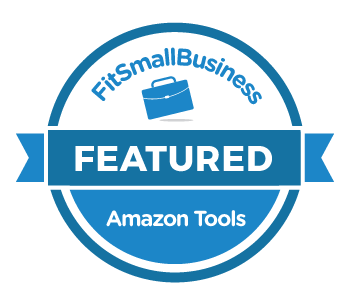 Our goal with ManageByStats This Week is to bring you a quick-look review of the latest in ManageByStats, Amazon, and eCommerce in general. All of which are areas of interest to you, our readers.Thank you, for being here with us.As you know we’re all about seeing to your success. We consider you part of a (large) extended family, and we work to see that you’re not only well equipped to boom your Amazon business, but well informed. To that end, in addition to news, updates, tips & tricks and all else, we make it a point to bring you the best learning opportunities when they arise.This week one of those opportunities has come up. Something we ourselves have used to great success. Want to know how to put practically any product on Page 1 of Amazon? We’ve got a free webinar coming up that will tell you how.Take a look at this week’s Opportunity section for more.As for the rest of this issue, we’ve got 6 easy steps for simplifying your eCommerce site under Sellers’ Paradise, in Tips & Tricks we cover useful info for configuring the many graphing options available in your MBS, and in The World of Amazon we take a look at Amazon advertising, as well as ManageByStats’ own Advertising tool.Here’s to a great week. Did you know you can view combined graphs for multiple shops and marketplaces? If you manage more than one account in your ManageByStats, you can see how your whole business is doing at once.In your MBS, under Graphs, click the Filter By button: Then click the orange bar with the <- arrow, which will move the selection up one level to display combined graphs for all shops in your MBS.Using the same Filter button you can select other shops and, once you’ve selected a shop, you can drill further down into things like Product Line and individual Products: You can also choose Group By options and custom Intervals: Make some of these selections in your ManageByStats and observe the results.Graphs let you visualize performance across multiple metrics, from the individual product level all the way up to brands and your entire business. Saved Filters - create custom analytics and save the views. Bid History - know the changes you made so you can see what works. Scheduling - set-it-and-forget-it; tell the system when to run ads, raise and lower bids. Date Comparisons - compare your ads across custom ranges to understand keyword performance. Target ACoS (Advertising Cost of Sales) - set the target ACoS you’d like to achieve and let the system do the rest. Auto Bid Adjustment - when activated the AI in Ads Manager adjusts bids each day to make your targets. If you’re not yet using the Advertising tool, it’s in your MBS now. Click Advertising in your MBS and get started with your free trial of this vital tool today. And now we present, some amazing(ly bad) dad jokes …__I'm like the fabric version of King Midas. Everything I touch becomes felt.__I always used to get shocked when touching metal objects, but it recently stopped. Needless to say, I'm ex-static.__Why did the coffee go to the police? It got mugged.__What do prisoners use to call each other? Cell phones.__What do you call an old person with really good hearing? Deaf defying.__When's the best time to go to the dentist?Tooth hurt-y. “If opportunity doesn't knock, build a door.”- Milton Berle All the best,Your ManageByStats Team Read Our Newsletters Online! And don't forget to share ManageByStats with your friends. Our affiliate program pays you an ongoing 25% referral commission.See the Affiliate menu under Settings in your ManageByStats.